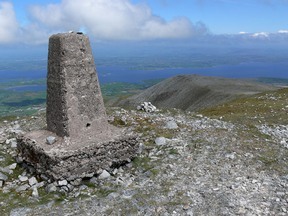 Mayo has a challenging landscape and beautiful scenery for the active holiday maker. Whether you are a seasoned hiker / cyclist or just out for a leisurely stroll or cycle ride, there is always a route to suite you. There is hardly any county in Ireland that can boast more contrast and variety in scenery than county Mayo. From the steep cliffs on the Atlantic coast to flat bog lands and from sandy beaches to the mountains of Connemara, the landscape changes quicker than the weather. Mayo is also rich in history with attractions such as the Céide Fields, Croagh Patrick, the National Museum at Turlough House and lots more. County Mayo also has the Moy; the best river in Ireland for salmon fishing. Wether you favour game or coarse fishing, there are lots of excellent fishing spots close by. The river Moy is world famous for its salmon fishing and is only a few miles away. There are dozens more rivers and lakes in the area, such as the Castlebar River, the Manulla River, the Clydagh River (which borders the campsite), Lough Conn, Lough Cullin and Derryhick Lake to name but a few. 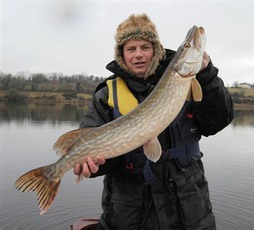 For more information: Fishing in Ireland and Inland Fisheries Board. 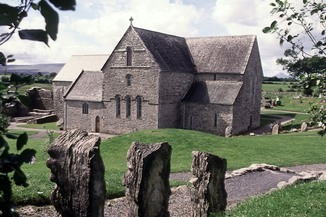 Ireland as a whole is rich with history and heritage and County Mayo is no exception to this. Even more changeable than our weather is our scenery. Every twist and turn in the road opens up a whole new and stunning view. You can of course plot your own route, or you can follow one of the many ‘set’ routes such as the Mayo Sculpture Trail, the Atlantic Drive on Achill Island, or the Doolough route through Connemara. 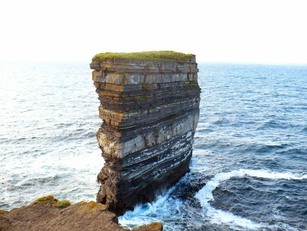 One highlight not to be missed is the road along Killala Bay to Downpatrick Head. When the time has come to take it a bit more easy after all the touring and sightseeing it’s time for a visit to one of the leisure centres or golf courses in the area. There are excellent indoor swimming pools in Westport and Claremorris and for the ultimate pampering there is the Kachina Natural Spa in Castlebar. 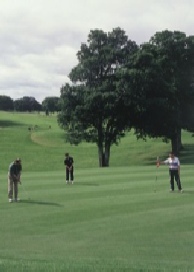 For a round of golf you can choose between 11 golf courses in Co. Mayo. No holiday in Ireland is complete without a visit to the pub for a pint of porter or a shot of Irish whiskey. 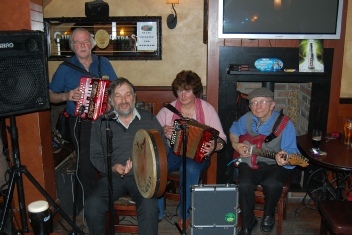 And on the same token, no visit to the pub is complete without the ‘craic’ of a good music session. and in our own Clubhouse (but that goes without saying).